Can you believe the end of 2013 is only around the corner? How would you describe your year? For me it has been a year of feeling INSPIRED! If you recall, instead of completing a list of New Year’s resolutions, my friends and I brainstormed a word that we wanted to feel all year long. Without a doubt, for me “INSPIRED” has been abundant and prevalent in 2013. A buffet of warm intentions, karmic energy and contagious enthusiasm was present at the table throughout this year’s races, travel, fitness classes, presentations, conversations and new challenges. The result: feeling driven, motivated, and wanting to do more! The inspiration was magnified & elevated by those who I decided to surround myself with in these activities. 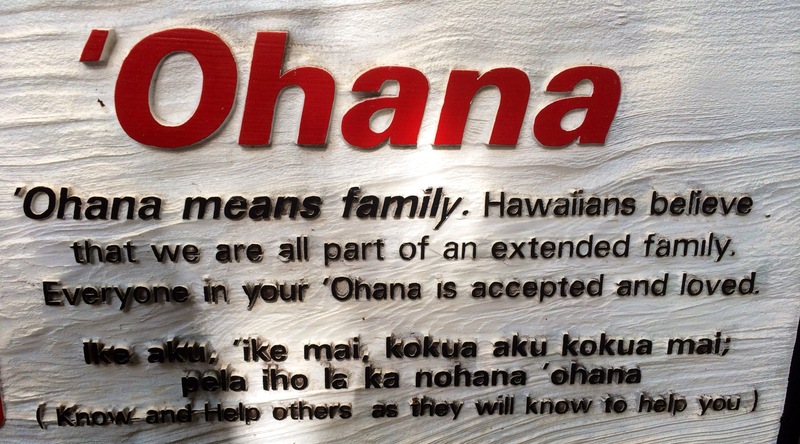 Travelling this week with my family in the Hawaiian islands I learned a powerful word: OHANA, defined by the Hawaiians that we are all part of an extended family. My OHANA are genuine individuals that believe in my passions, push me to step outside my boundaries and champion me to succeed. The more this occurs, the more I am energized to do the same in return and hence creating a magical support system. We all need one and I’m forever GRATEFUL for mine: GGT, Goodlife, Lemons, Team D, family & friends! The phenomenal part of my support system is that it’s growing organically & effortlessly. Feeling inspired comes not just from accomplishing big goals but also simply listening to that support system that surrounds you. By focusing the discussion around others you can discover many gems that you can take away and feel inspired by. This entry was posted in Create Inspire Achieve and tagged 2013, adventure, celebrate, Gratitude, motivation, ohana. Bookmark the permalink. I also realized this year that I had a tendency to want to relate to someone’s story by telling my own which may have seemed selfish. I am grateful to have learned to listen and find other ways to tell my own story. I am happy to have shared 2013 with you Joe. Your word was Inspired and I hope that included being an inspiration to others because you were to me!